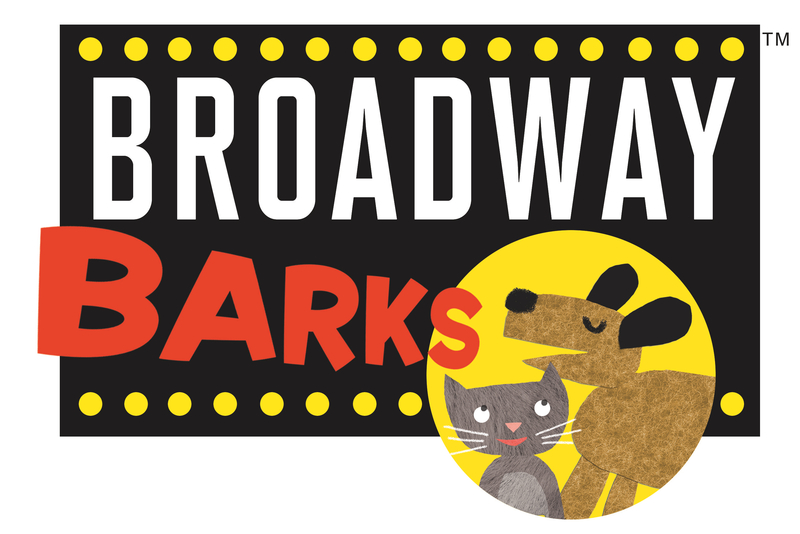 Want more Broadway Blog? Follow us on Facebook and Twitter! 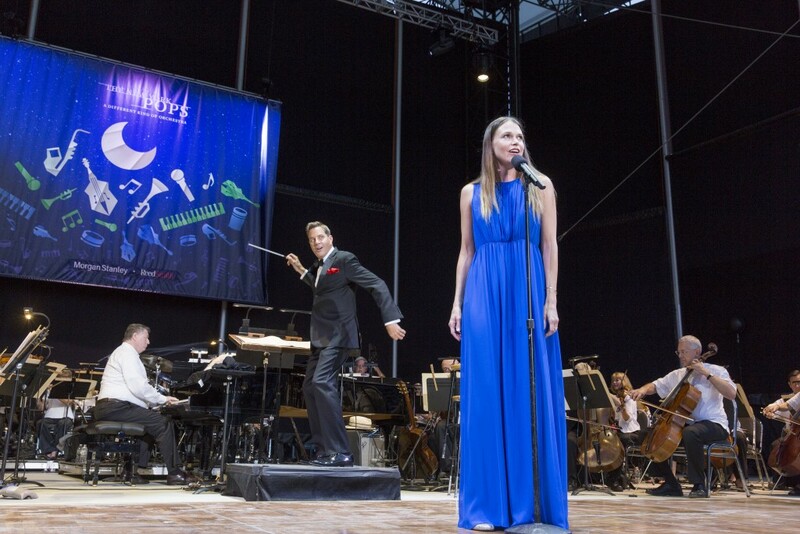 The New York Pops celebrated its new summer home at Forest Hills Stadium with two-time Tony Award winner Sutton Foster. 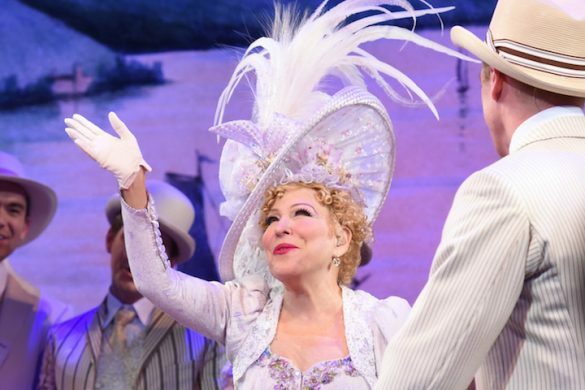 The program was similar to her Carnegie Hall performance earlier this spring—which isn’t a bad thing. Foster, who currently stars in the TV Land show Younger, was in great voice and sounded tremendous thanks to impeccable sound design by Dan Gerhard. 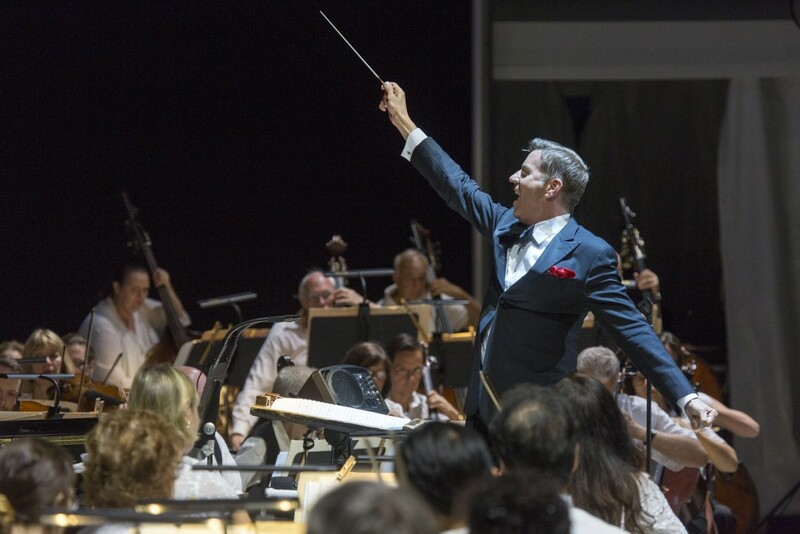 Music Director and Conductor Steven Reineke—charismatic as always—kept the 72-piece orchestra nimble. For those who are fans of the American Songbook and Broadway classics, The Pops is a magnificent celebration of sound. Evening highlights included Foster’s renditions of “Down with Love” and a campy serenade to her dog, Mabel, set to the melody of “Maybe This Time” by Kander and Ebb but dubbed “Mabel This Time.” The Pops’ now legendary “The History of the TV Overture” had audience members guessing at the classics and Foster had everyone on their feet with an encore of “Gimme Gimme” from Thoroughly Modern Millie. 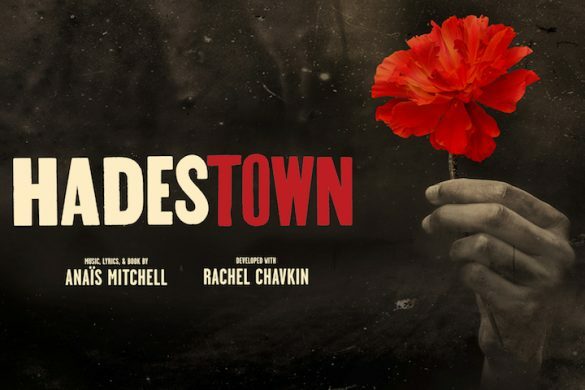 For more information and to purchase tickets, visit www.newyorkpops.com.